We check company backgrounds, reviews, and reputation. Only proven companies will contact you. Get up to 75% discount! 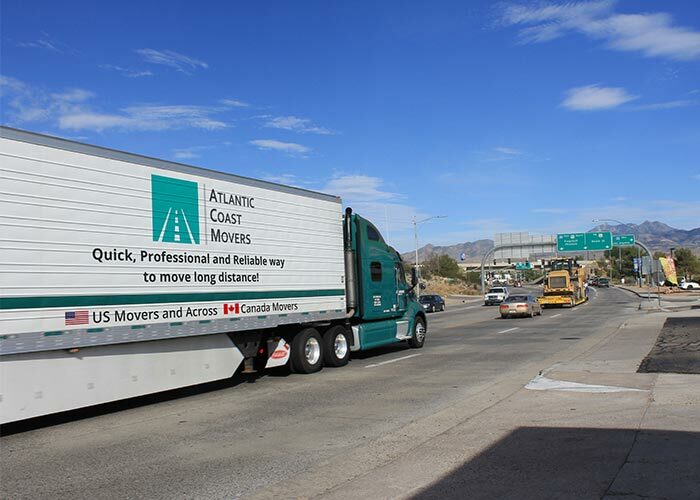 We used Best Moves for our move from Etobicoke to Calgary last October. We have two kids and my parents live with me and my husband so you can only imagine how much stuff we had to move, ridiculous! There was no way we could’ve done the whole move by ourselves. Somebody told my husband that we should hire a moving company for sure. So my husband started calling different moving companies. To tell the truth, I was a little mad at him for not researching any other options and not consulting me before making this decision. But we had a great luck on finding Best Moves!!! We received many quotes from them and chose a professional moving company. Surprisingly, everything turned out fine. The moving crew was very polite, respectful, and even my parents liked them! Our belongings were delivered to Calgary safely and on time. It was just a pleasure to deal with Best Moves. I hope my review helps everybody who is looking for a moving company. I submitted the form on Best Moves website and received different price estimates. I just chose the one with the most reasonable price and was pretty happy with the moving services received from this particular company. While moving, I felt assured that I used this platform and I have double customer protection, from moving company and Best Moves. All in all, I think I did the right choice by using them. Thanks a lot! Best Moves is awesome! We’ve used them twice to find the best movers and recommended to a couple of friends. They never disappoint. The moving crew that we decided to hire with the help of Best Moves was punctual and diligent, the management is understanding and accommodating. I’m glad we came across this company and you can be sure you won’t regret using them for finding the best moving company. 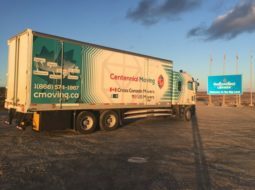 I was moving from Winnipeg to Calgary and the perspective of spending hours to find the right moving company was just intimidating. But then I discovered Best Moves – they helped me to find the cheapest, most reliable moving company that was available for the date of our move. I just submitted the form online and they got back to me with different quotes from different moving companies, the only thing I had to do was to choose. So much easier! I think Best Moves is the next step in the moving industry. Best moves will help you find the best deal available for the dates you need. I’ve used it last month when I was moving and it’s incredibly convenient. 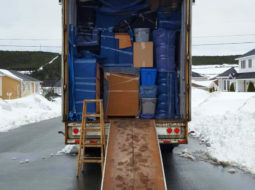 Rather than emailing and making calls to every mover in your city that comes up on Google you can just fill out the form online and the Best Moves people will get back to you with numerous options. I’m surprised so few people know about it – great resource! Best Moves is a great tool for finding the professional moving company that suits your needs and budget. My friend recommended this website and I used it for my move. 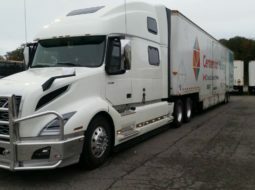 I’m glad I did – Best Moves helped to find a great mover on short notice and I didn’t have to waste my time and stress out calling and requesting quotes. Great find, I’ll be definitely using them for my every move. Best Moves is an exceptional company. Having moved a couple of times over the course of the past 5 years and each time I used Best Moves to find the best deal. The company and its associates really excel where others fall short. All the stuff is very professional and every time I hire some moving company they exceed my expectations. I feel safe. If you and your family are ready to move and need it done at a great price, with no hassle or worries, Best Moves should be your first and only choice. 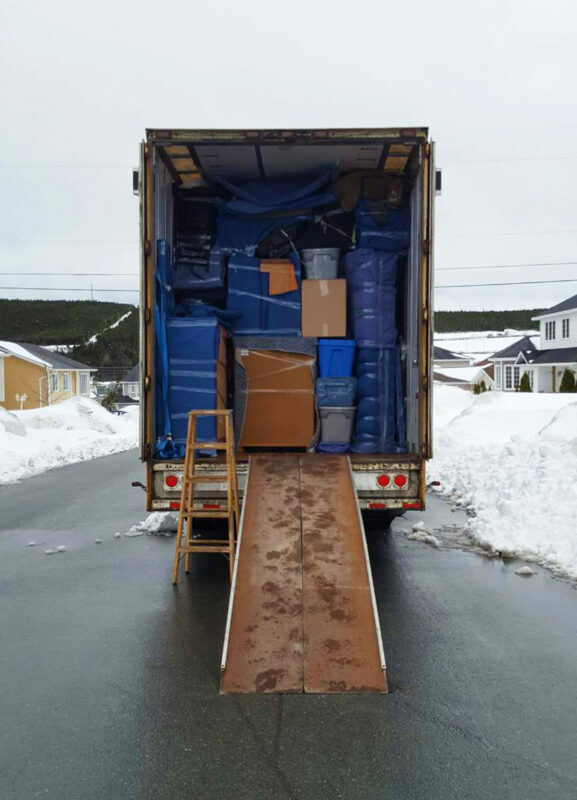 I came across Best Moves last month when I was looking for a moving company to pack and transport our 3 bedroom house – the job wasn’t easy and I figured it wouldn’t be cheap either. I know moving companies could be very expensive and misleading sometimes, so I decided to do a good research before hiring one. And Best Moves helped me with that – they saved me tons of time and all I had to do was just pick a company that appealed to me the best having all the information, including quotes right in from of me. Very convenient and helpful! I will not stop recommending Best Moves to everybody I know. 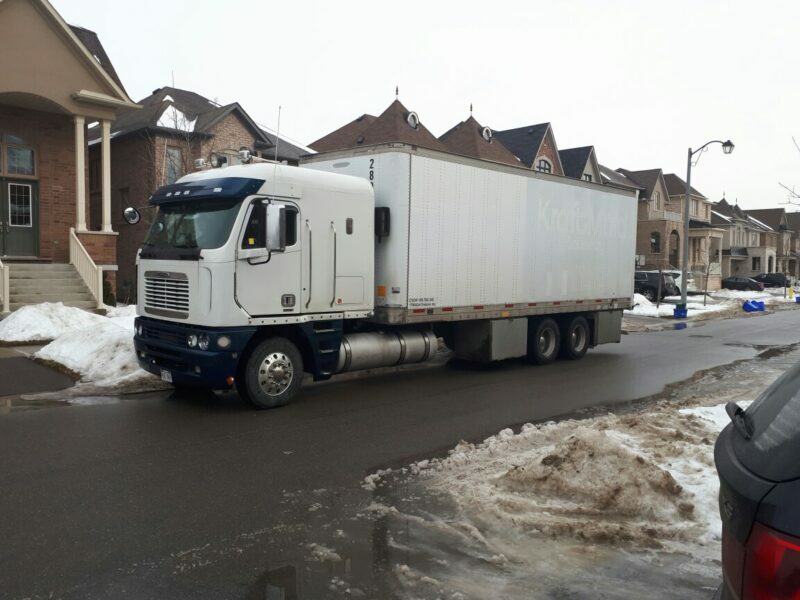 It is a rare thing to have a professional company that can actually move your things without any problems and hidden charges.Best Moves showed that they were worthy of the good name they have in Toronto and the entire Canada. Use them and you will not regret it. These guys are literary moving the nation forward. 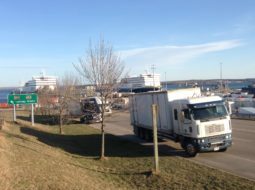 They expertly transported my furniture and other belongings from Calgary to Scarborough without any hitches or glitches. Cool guys, cool company, you have to use them.I used Best Moves because their service was referred to me by a colleague. They gave me a great team that did a great job. I found everybody at the company to be very helpful and professional. I will refer this company to everybody I know. Lee, Chris and Vasily were the three movers who came to move our two bedroom apartment. They were perfect, helpful and yet so careful with all my fragile items. I am so happy with the move. Obviously, would highly recommend Best Moves to all my friends! Will definitely use these guys again! We found Best Moves online. After sending a moving estimate request i have received about 6-7 moving quotes from different moving companies in my area. I have reviewed each email and choose the one! Thanks to best moves it was easier to get different moving quotes in one-shot and select the one who offers the best deal. Thank you Best Moves. I do recommend to use Best Moves for getting professional quotes. The movers arrive on time, it was nice guys, very friendly and hardworking people. The packed everything carefully with additional blankets. There were no damages, no loses. I’m very happy with my movers! Thank you again. Having moved several times in my life, I learned that there are no guarantees in moving industry, except stress. I declare now that Best Moves will change your vision, eliminate the stress and exceed your exceptations. At least, this was my moving experience in dealing with them. I did my due research and decided to go, this time, for reputable professionals. My friends’ recommendations were all pointing at Best Moves. With Best Moves i found what i was looking for a long time – Perfect Movers. It was very easy to use the source, i just filled the quote form one time and received about five moving quotes from different professionals. I booked the mover which best fitted my moving needs and budget. The moving team were punctual, with lots of moving supplies. It was such a relief when the move was done and nothing was broken. Thank you a thousand times! Hands down, the easiest move I’ve ever experienced! 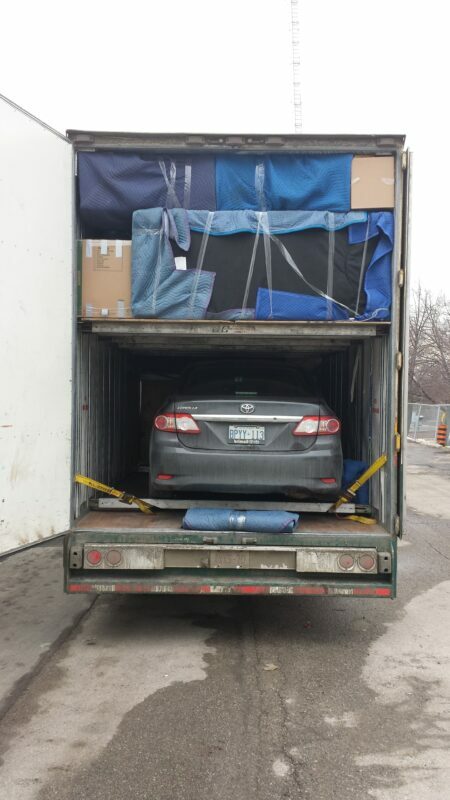 It was my first long distance move from Vancouver to Toronto. My movers was just amazing. Not only did they have a better grasp of spatial reasoning and organization than I did, but they seemed to genuinely care about the outcome of my move. I’ve never met movers who were more methodical, detail oriented, or thorough. They even grabbed things I forgot to pack! Definitely a moving win. I’m so happy that i found Best Moves! Amazing service to find professional moving company. Thanks to general manager Allan i got a help in finding moving service in my area. Few days ago i successfully moved with extremely reputable movers! No damages, no extra fee, just like Best Moves promised. Thank you for such a user friendly and helpful service! Thank you Allan, your service is the best! I found a professional moving company thanks to Best Moves. It was easy and fast. Very user friendly web source. Next time when I need a moving service I will go straight to Best Moves. Now I know the way to find a reliable and professional moving company. By the way the move went smooth and I’m happy with my choice. It’s my second time when I use Best Moves for choosing the right moving company. I consider that they do a great job and they gained the trust of their customers. With the help of Best Moves, I can be sure that everything will be just perfect during my move. I would recommend them to everybody, they are able to make your move a really safe experience. Best Moves helped me to make the best choice of a moving company. They met all our requirements and sent us the estimations from a lot of companies. With their help, we have chosen the best low budget company that provided high quality services. This company helped me very much in my move. We used Best Moves services for choosing the right moving company. I received many price estimations that substantially helped us in finding the company that would meet our requirements. The company was responsive and helpful as we were trying to decide what services to purchase. The movers that we hired with the help of Best Moves were extremely professional, helpful and efficient. Even if there was more packing to do than originally planned, these guys worked very hard on a very hot day to get the work completed. You pay for being sure that you will have a stress free, quick and professional relocation! I would highly recommend Best Moves to everyone! This service was the best choice in finding the most professional movers and it made my move as comfortable as it could be. We used them before moving from BC to AB . Working with Best Moves is extremely easy and safe! You have to send a moving estimate request and you get the best moving company according to your needs! This is what I did and I got 100% satisfaction from my moving services. If you want to make sure that your move will be secured and that you won’t have any damages, this company could be the best option. Best Moves provided several quotes at the start of the process, significantly cheaper than competitors and the quotes included all of boxing, packaging material etc. This helped a lot while choosing the moving company for our relocation. Thanks to Best Moves, our movers were just great! The two movers who arrived on the day were really brilliant – friendly, polite, careful and incredibly efficient. I would highly recommend Best Moves to everyone that still didn’t decide which movers to hire! I always hire moving companies when I move. I can’t stand doing that by myself. It stresses me out so much. But every time I end by being disappointed the way movers handle the job. My friend advised me to use Best Moves, to ensure a safe move this time. We requested several quotes, Best Moves answered promptly so we could choose which company to hire for our move from Vancouver to Calgary. The chosen movers showed up on time, did their job diligently and I can tell this was one of the most hardworking crews I’ve ever seen (other movers I’ve dealt with in the past always tried to get more money out of me by taking their time). I’ll use Best Moves again, so I can be sure all my belongings are safe and the price is within the one initially estimated. Ok, I was nervous about using a moving company since the last one I used was so terrible. We decided to make a detailed research on Best Moves platform to ensure a safe move. Best Moves helped a lot in making a choice for the last relocation. I did my move last month in December and everything went perfect. The price was reasonable. Thanks to Best Moves – I will definitely be recommending them to anyone I know that needs a moving company. I was helping my grandmother move from Saskatoon back to Toronto where we have our family home. She’s really old so I handled the whole move on her behalf. I got on the phone with someone named Ksena who walked me through the whole thing. She assured me my grandmothers things would be safe and make their way back to Toronto in one piece. 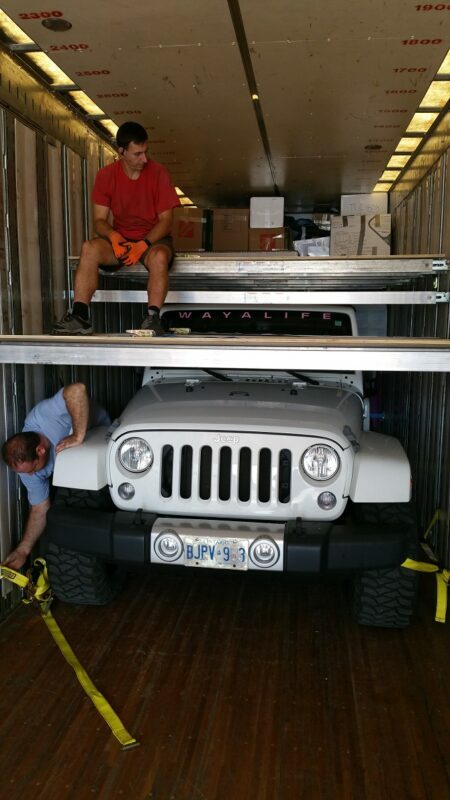 I was very happy when the move happened as I saw the workers working very professionally with great teamwork and very carefully moving her things onto the truck. I was not there personally during the delivery but she relayed to me that they were very kind to move everything into the correct rooms and even helped her up the stairs! She was very happy with the movers which makes me very happy I went with Best Moves. It just blows my mind how impressive Best Moves is as a moving company. The company is well reputed and their men have gone through serious training and some of them have been working for other big moving companies. They arrived right on schedule, their packing was a work of art and no glitches took place while loading my belongings onto their vans. Even their vans looked quite big. So, chances of your things to get damaged on the way are slightly less. I will definitely recommend everyone to hire these guys. They arrived on time, and did not waste any time getting the move done quickly, which made the price of the job match the estimate perfectly. They also took great care with our property and placed everything exactly where we needed it. Thank you all for a good moving experience. Best money I’ve ever spent. The movers were totally friendly, professional, punctual and fast. They made the move very smooth and painless and no complaints at all. Will absolutely hire them again if I have to move! I researched at least 10 companies before choosing Best Moves. I was very concerned about the many warnings that I read about the moving industry in general. It took me weeks to make a decision as it was a large move to another province. If you are in the process of choosing I will save you time. This is an excellent company!! Best Moves came today and moved all of our stuff into the trucks. THIS GUYS WERE FANTASTIC!!!!! They worked incredibly hard, were extremely organized, very polite and intelligent, and worked very well as a team. I was incredibly impressed at their skill level and professionalism. I am now feeling very relaxed that my belongings will arrive safely and in great shape. They actually exceeded my expectations!! If I ever have to move again I would hire them in a second. I was searching for a moving company and found Best Moves. With their help I managed to get multiple quotes at the same time from several moving companies. From that point, my choice was much easier as I managed to hire a good moving company. Thank you Best Moves for the help! It was easy to work with Best moves. They referred me to a couple of reputable companies and after a couple of calls with one of those I booked my move. It was a fast move and I was billed right as budgeted for my relocation. Overall good experience and definitely reliable company. Looking for a relocation service can be a minefield, so if your looking for a web-site to find movers for your needs. simply enter your date, cities and residence types and they do the rest. They came up with with a reasonably priced company who really looked after my move. Best Moves is by far the easiest and most reliable website I have used. Found a couple of really good companies to do my last two relocations. Well done. So glad I paid a visit to Best moves. Let them take the strain of selecting your moving service. The moving team were tremendous in the fact that they were punctual and dedicated to getting my move achieved within the desired time frame to coincide with my elevator bookings. My two bed apartment was completed in just over five hours. Top Service. Over the moon with the company provided by Bestmoves who arranged my long distance relocation superbly handled and coordinated by the office. 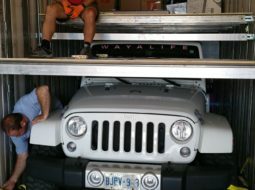 Movers had obstacles to deal with and made it look easy with their attitude to efficiency and relocating techniques. Be assured that I will go out of my way to make your name ring out!! I was moving to Calgary to start a new job in under two weeks ! i did not have a clue who I was going to use. 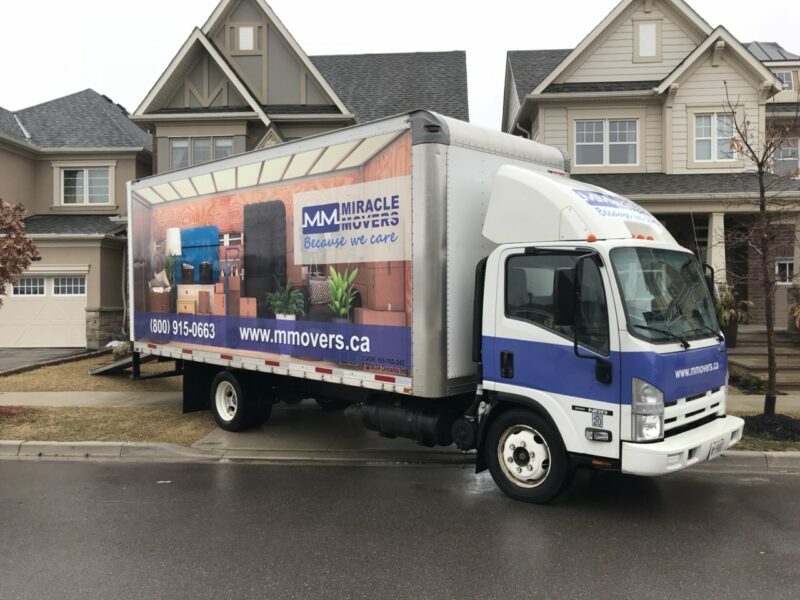 I tried Best movers as they had some good reviews and they found me a great company, so I am extremely thankful to them as it turned out so well. They really helped me get things turned around and all my stuff was situated exactly where i required. so all I had to focus on was preparing for my new role and life. Literally it would not have worked out so well with my new position. they were totally one hundred per cent worth the money. Thanks from the heart!! Hats off to best moves they found us movers that were fast, efficient and friendly. Good communication within the crew. Health and safety conscious while retaining the speed of the move. They came slightly early ! Great start !! We were safe and sound in our new residence before sundown. joy to be around such focused individuals. Really made it it an extremely enjoyable and positive experience. Aaaaahhh if only all companies showed such commitment to service. My friend is moving soon and I have already put them in touch! Best moves were the providers of a great company of movers who carried out our project effortlessly. They were first class, efficient, professional and patient. Relocated our house and my garage of workshop equipment with tireless dedication and very fair handling fees. Anybody who needs this kind of service I will direct them to the Best moves website. They clearly only put you in touch with consummate professionals who have a great deal of skill and experience in this field. This is the second time I have utilized their services. Both times were excellent. Bang on with their quotations(and very reasonable). Nothing to be reported damaged. delivery time was faster than expected ! I would recommend them over any other mover I have moved with before. Everything was wrapped in quilted blankets. They were extra careful with my antique furniture. When it arrived it was exactly where I asked the movers to place it. Excellent job done at both locations. I loved how easy it was to book your services. Your web page is very clear and lets you enter extra comments of requirements that are noted by your staff. excellent care shown by the movers with our belongings. The estimate for the project worked out almost dead on. Very impressive. Very positive experience. Everybody was totally on point. I cannot overstate how pleased we were with the full service that we engaged from your company and you have our fullest gratitude. A big shout out to Best moves as they put me in touch with a relocation service who simply handled my move superbly. wonderful job! In the past I have not been a fan of hiring companies when relocating. However, Best moves found me a company that carried out a fantastic job for me. Now I will never have to attempt to do a move on my own. their removal service saved me a lot of time and trouble. The price was very competitive and compared to if I had lost time at work due to doing it myself. Thanks to their movers nothing was damaged either. They sincerely took an extreme burden off of my move. 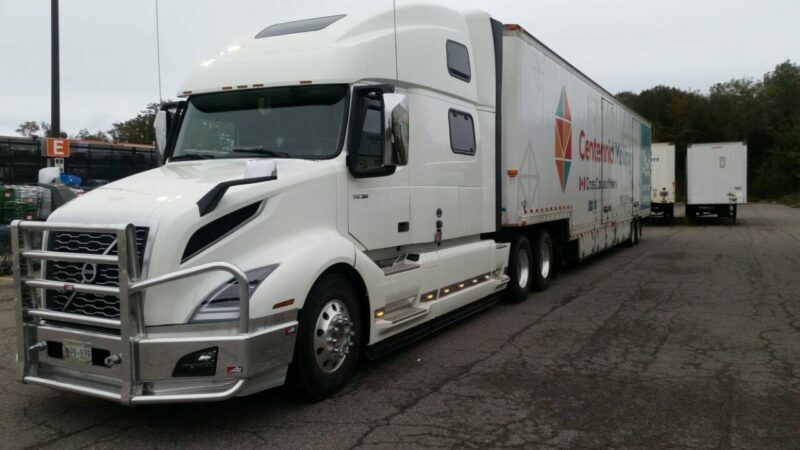 The company has been around for a while meaning that we have gathered the experience needed and have worked with a lot of haulers that we can link clients with. We ran thorough background checks before we bring them in. Our network also runs across the country meaning that you can get access to both short and long distance movers. 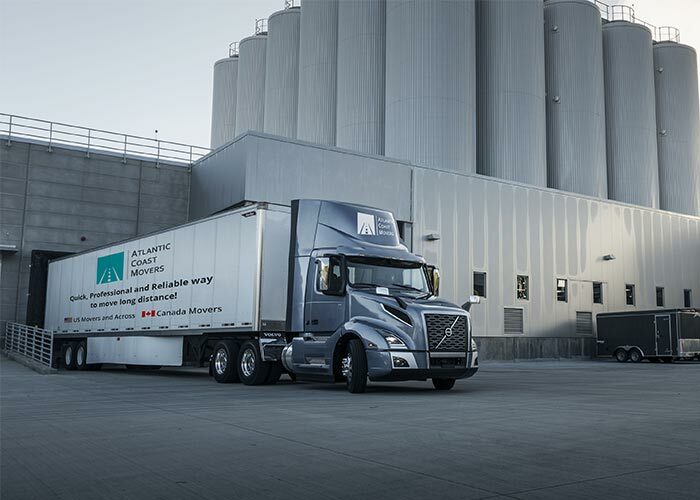 Filling in the form takes no time, and the haulers will contact you as soon as they can. Also, they will make a point of coming to where you are, rather than you having to go to them. Our company sends you a list of five companies which gives you the opportunity to compare what they offer. The good thing is that these firms are aware that they are competing against other professionals, and will, therefore, give you their best quotes. Just because you filled in our forms and got a list of crews, it does not bind you to work with them even if they get in touch with you. If you find that their services are not what you are looking for, you could always look for others. 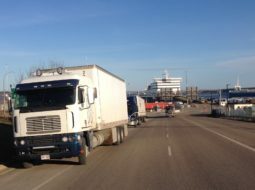 We have some useful tips that assist you to figure out how to go about the haul. This helps our clients be more prepared. I was searching for a moving company and found Best Moves. With their help I managed to get multiple quotes at the same time from several moving companies. From that point, my choice was much easier as I managed to hire a good moving company. Thank you Best Moves for the help! I researched at least 10 companies before choosing Best Moves. I was very concerned about the many warnings that I read about the moving industry in general. It took me weeks to make a decision as it was a large move to another province. If you are in the process of choosing I will save you time. This is an excellent company!! Best Moves came today and moved all of our stuff into the trucks. THIS GUYS WERE FANTASTIC!!!!! They worked incredibly hard, were extremely organized, very polite and intelligent, and worked very well as a team. I was incredibly impressed at their skill level and professionalism. I am now feeling very relaxed that my belongings will arrive safely and in great shape. They actually exceeded my expectations!! If I ever have to move again I would hire them in a second. These guys are literary moving the nation forward. 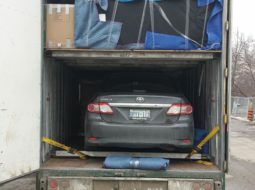 They expertly transported my furniture and other belongings from Calgary to Scarborough without any hitches or glitches. Cool guys, cool company, you have to use them. I used Best Moves because their service was referred to me by a colleague. They gave me a great team that did a great job. I found everybody at the company to be very helpful and professional. I will refer this company to everybody I know. They arrived on time and did not waste any time getting the move done quickly, which made the price of the job match the estimate perfectly. They also took great care with our property and placed everything exactly where we needed it. Thank you all for a good moving experience. Best money I’ve ever spent. Lee, Chris, and Vasily were the three movers who came to move our two bedroom apartment. They were perfect, helpful and yet so careful with all my fragile items. I am so happy with the move. Obviously, would highly recommend Best Moves to all my friends! Will definitely use these guys again! Upon request, our movers will give you packing implements such as boxes, bubble wrap, blankets and special packaging for breakable items such as mirrors. If you need a local mover, then we are the best people to help you get in touch with one. Most of these relocations are priced per hour plus travel time. These types of relocations are usually calculated according to the weight of the possessions. The quotes you get, therefore, will be per pound with some fluctuating. What we do is take advantage of the overcapacity in the relocation network to give you the best-discounted prices. For this, we will need details such as the year make and model of the vehicle, when you want it moved and where to. Also, let us know if you would like an enclosed trailer or want to work with the lowest price and we shall get you a fitting mover to assist you. It might be a little tricky finding the perfect cross-country movers and Best Moves are always ready to help. 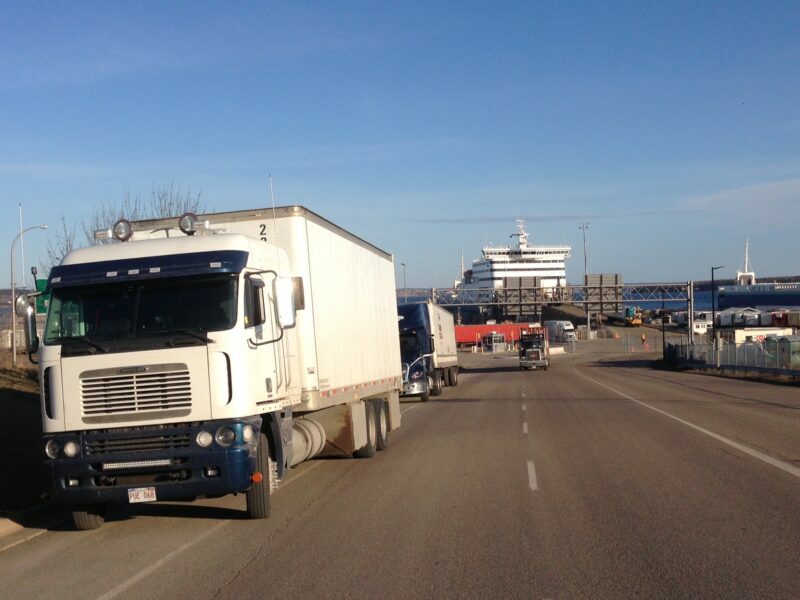 It is important that the crews you pick is bonded, insured and are aware of how to deal with issues such as customs. Our crews carry outhauls to the USA as well, and all you need to let us know which city you are going to and we shall send a quote.